FORT WAYNE, IN - Fort Wayne is pleased to be hosting the National Junior Prospects Hockey Showcase for the second consecutive year this weekend. This three day event will take place at Fort Wayne&apos;s SportONE/Parkview Icehouse on January 19-21, 2018. Teams travelling from as far away as Wisconsin and Georgia will be playing hockey in the Summit City. 22 teams will be competing, bringing approximately 400 players and their families to Fort Wayne. This event will bring our city approximately $250,695 in economic impact for the community. Founder of National Junior Prospects, Bob Black, used to participate as a player in the A.H.A.U.S. Districts and Regionals (now USA Hockey), and is excited to bring more hockey history to Fort Wayne, Indiana. 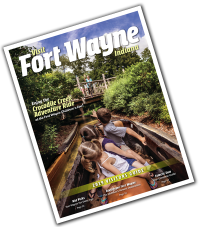 You can also contact Dan O&apos;Connell with Visit Fort Wayne at dan@visitfortwayne.com, or 424-3700.